Almost two months ago, Respawn Entertainment released, seemingly out of nowhere, “Apex Legends,” a fast-paced, action-packed shooter that redefined the battle royale genre. Since its release, we’ve seen the player count reach 50 million, Twitch tournaments, and a new weapon. To keep things fresh for the millions of players, Apex Legends has released its very first battle pass and a new character, Octane. When Apex launched, it introduced eight characters that players were able to play, and with the battle pass, the newest character to join the roster is Octane. He is a fast and volatile player who moves across the battlefield with blazing speed. This new legend is characterized as an “adrenaline junkie who entertains himself by performing death-defying stunts.” He decided that he needed to set a course record for a gauntlet by using a grenade to launch himself past the finish line. This resulted in Octane waking up the next day with a pair of brand new mechanical legs. Like every Legend in Apex, Octane will come with a tactical, passive, and ultimate ability. The tactical ability is called ”Stim,” which allows Octane to move 30% faster for a total of six seconds, but this will cost some of your health to be used. The passive ability, called “Swift Mend,” will automatically restore his health over time. His ultimate ability, “Launch Pad,” will let Octane throw down a launch pad that will hurl him into the air to give him an advantage over other players. The Wild Frontier season 1 battle pass will let players unlock exclusive rewards the more they play. There are over 100 unique and different items that you’ll be able to collect while the season goes on. After the season ends, you get to keep what you earned. Some notable rewards are the wild frontier skins for characters such as Mirage, Lifeline, and Mirage, new weapon and legend skins, and quips. 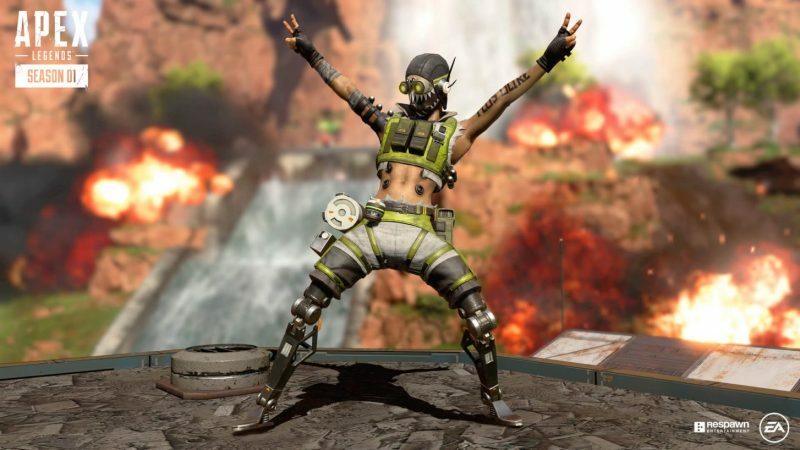 With Apex Legends being a free-to-play game, it was only a matter of time until we saw its very first battle pass. The pass will cost players 950 apex coins, and with the purchase of the battle pass, players will instantly get some free rewards, such as new skins for some of the legends, apex packs, and stat trackers. Similar to Fortnite’s battle pass, season 1 Wild Frontier will last for a few months, which will give players plenty of time to unlock all the rewards. Apex Legends Season 1 Battle Pass: Wild Frontier is now available for all platforms. 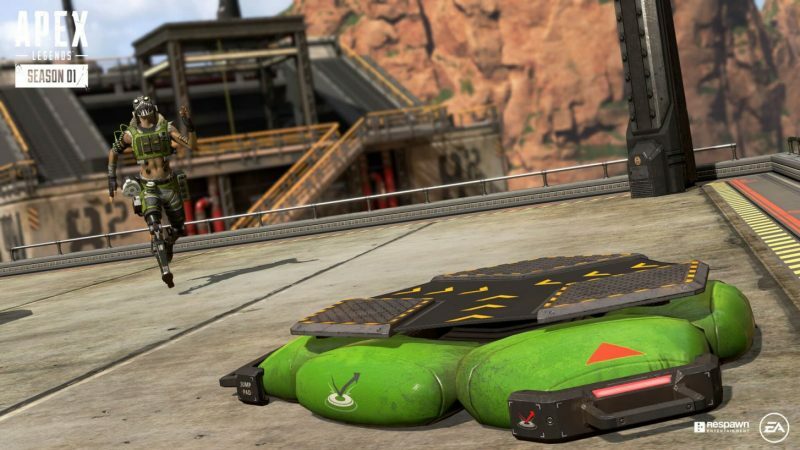 The post Apex Legends kicks off first battle pass, plus new character Octane appeared first on Nerd Reactor.